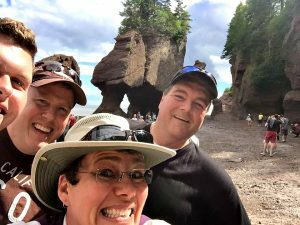 Guests experience the dramatic rise and fall of the world’s highest tides in the Bay of Fundy and Hopewell Rocks. 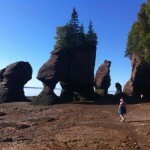 The “Hopewell Rocks & Bay of Fundy” Coastal Tour is a personalized and experiential excursion. It is a selected inaugural member of Canada’s Top 48 Signature Experiences Collection as designated by the Canadian Tourism Commission of Canada. 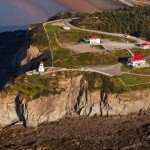 All “Hopewell Rocks & Bay of Fundy” Coastal Tours are based out of Moncton, New Brunswick. 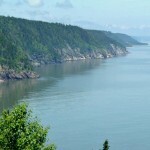 Please note that Bay of Fundy tour times fluctuate in accordance with a tide schedule which changes daily. 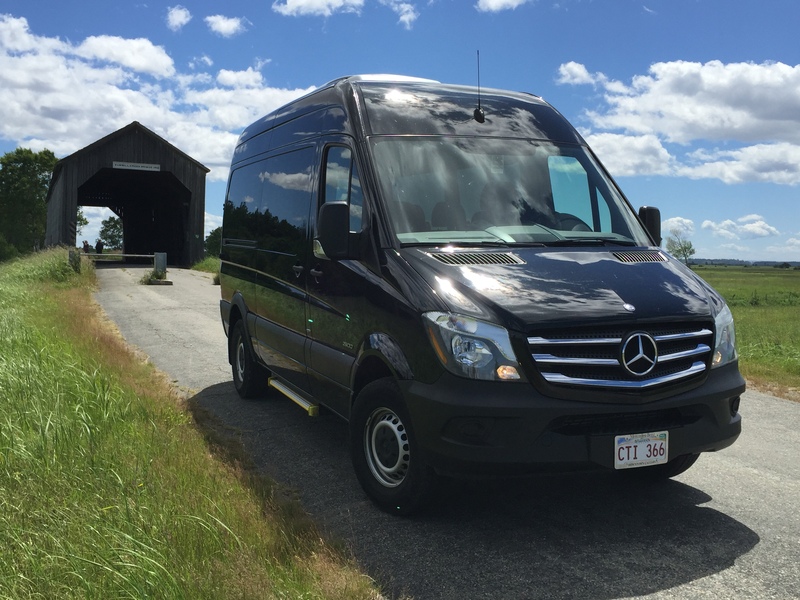 Our vehicle is a comfortable, air-conditioned Mercedes-Benz Sprinter which holds a maximum of 11 passengers. We operate 7 days a week, rain or shine from May 1 to October 31. 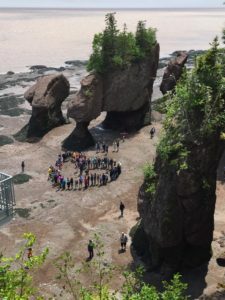 For children ages 6-12, we have a Bay of Fundy Nature Club Card where recipients are challenged to accomplish ten different tasks throughout the day based on age appropriate learnings, i.e. trivia questions, finding a specific kind of seaweed (once they learn about the different types), finding a stone with two colours, building an Inukshuk (rock person) on the beach, etc. 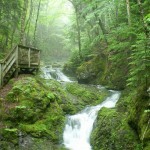 At the end of the day, when the Bay of Fundy Nature Club Card member has completed all ten tasks, they will receive a prize! Due to safety regulations, children five and under are not permitted on tour. Looking for a place to stay in the Greater Moncton Area? Check out our list of Preferred Properties! Have any more questions? Check our FAQs.